Swaddling, (or applying gentle, maintained pressure) is well-known as an effective way to calm babies. Fur babies are no different. Like humans, pets have pressure points that, when activated, help calm even the most anxious dogs. 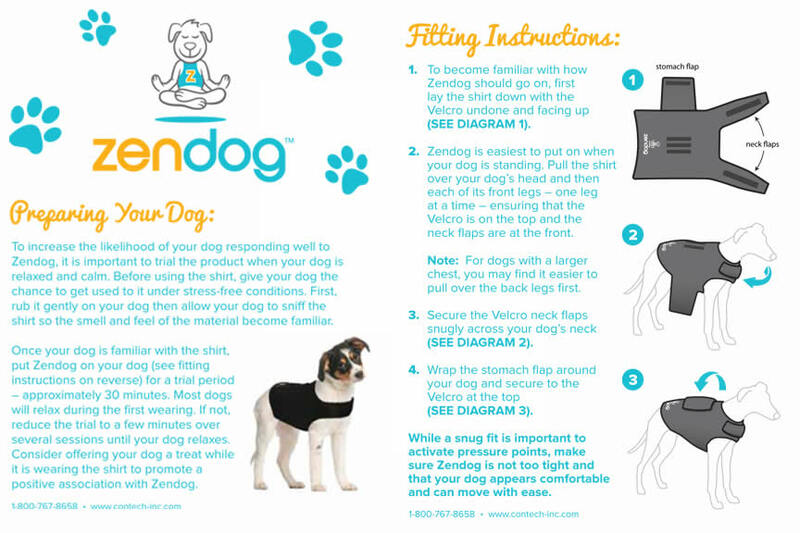 ZenDog is 100% guaranteed! If it doesn't work for your dog, just send it back for a refund. No hassle. No risk. 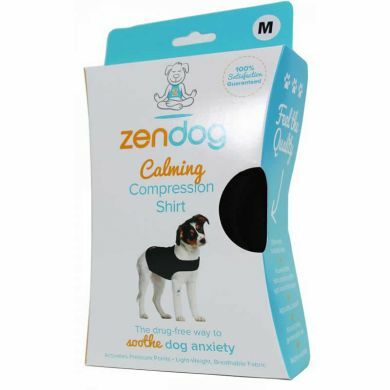 Calming Compression is efective for 80% of dogs so you've got great chance of success - and nothing to lose. Combine the ZenDog Calming Compression Shirt with the companion ZenPet Calming Spray for twice the effectiveness. ZenPet Spray is a specially formulated aromatherapy oil blend including lavender and chamomile to calm even the most anxious pets. 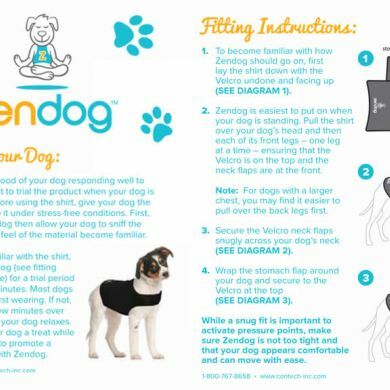 Use the spray on its own or spritz on the enclosed aromatherapy cards and insert into the pocket on the ZenDog shirt front. 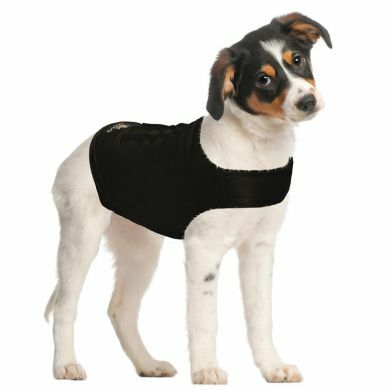 Read 2 customer reviews of ZenPet Zen Dog Calming Compression Shirt. The average customer rating is 4.5. 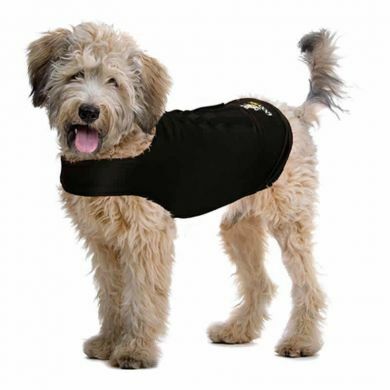 I actually purchased this suit as a medical shirt to use after my dog sustained a severe injury that was difficult/impossible to keep covered with traditional dressings. Unfortunately it was a little firm for the purpose. However it is beautifully made, easy to apply and adjust. I simply needed a bigger size. Had I not already bought 2 shirts in another brand i would definitely have returned these and purchased the size up. have a very timid dog specially with storms, usually panting and hiding but put on the zen calming compression shirt and she went into her bed this was only with rain, still waiting for some thunder to test it out.